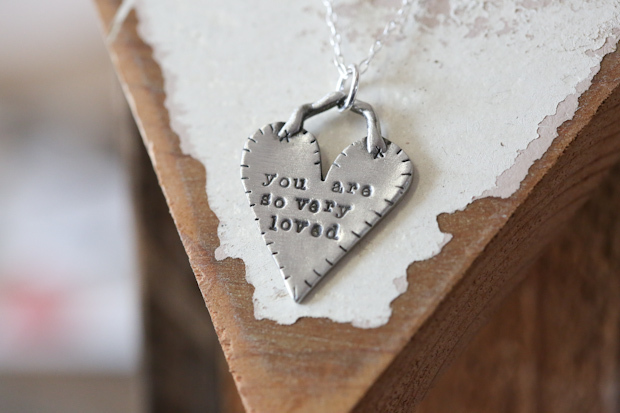 Here’s what I want for you this Valentine’s Day: to remember you’re truly, deeply loved. Just as you are. To feel less afraid and more free. To stop trying so hard and being so tired. To truly believe your worth is not wrapped up in what you do but in Who you belong to. Along with this gift, I have an invitation for you. Tomorrow morning I’ll fly to the Dominican Republic with Compassion International and a team of bloggers including Bonnie Gray, Lisa Leonard and Ruth Soukup. Each day this week we’ll be sharing our journey and ways you can be part of it too. Happy Valentine’s Day, friend. You really are loved more than you know. Deeper than you can imagine. Far more than you’ve dared to dream. Just as you are. I pray you believe it’s true…and pass it on too. Thank you for writing this Valentine’s post! It was lovely and so timely! I would like to sponsor a child but at this time I can’t. My husband and I make contributions to our church that help those in need. Perhaps I can do this later. I commend you and those who are doing this for this is a wonderful gift that you are giving to God. We sponsor an 8 year old boy named Jerry in Haiti in the Cortade CDC Center. If you visit there on your trip, please give our precious little man a big smile and squeeze from his sponsors, Pres and Jani. We have been sponsoring children for 25 years. Getting their letters and praying for them is such a privilege. It is so humbling to know the children also pray for their sponsors! Thank you so much, Holley. The webcast is so insightful and encouraging. Love this thought – “To truly believe your worth is not wrapped up in what you do but in Who you belong to.” May God gift you with His Spirit in a special way on this journey! Well, after praying and reading and crying over all these sweet, beautiful children, I finally picked one to sponsor. I hope to add more in future months. God laid this hard on my heart today, and I thank you for bringing it to my attention. God Bless! Thank you for sending this link to me. I really appreciate your encouragement. I feel like I know you Holley, you are just so real and I love that about you. Thank you for sharing this. Just watched this and loved the message. What a meaningful gift to give to women on Valentine’s Day…that we do not need to be perfect (and that God never expected us to be), but that we are perfectly loved by Christ! So many great truths spoken, but my favorite is when Holley said “I will keep looking at Jesus and keep letting him to do the work in my life until I am home.” Thanks again ladies for the encouragement. I am praying for you, Bonnie, and all the other people on your trip! May God bless your efforts and multiply the fruits of this trip beyond our wildest dreams! Thank you for sharing such an encouraging message! I really needed to hear it today. if you happen to be in that area, please give her hugs from me!! Enjoy this special time and wonderful opportunity from God!